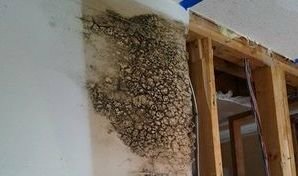 If fungus and mold begin to invade your living space, homeowners can the call the mold removal Oxnard specialists at 911 Restoration of Ventura County right away and we will do whatever it takes to thoroughly remove the substance from the property. With so many years of experience eradicating mold from homes, our mold removal Oxnard pros know that fungus needs to be properly handled and tested in order to be sure that it is not a health hazard. We are IICRC certified, so when you hire our water damage Oxnard unit you can feel confident knowing that you are getting the most capable services in the industry. Our mold removal Oxnard crew encourages you to contact us the moment you begin noticing signs of mold, because we are available 24/7/365 to take your emergency call. So, call us today and we will arrive within 45 minutes to provide you with a free visual mold inspection. Even though when you find mold in your home it is not technically considered an emergency, our mold removal Oxnard unit treats the situation with a great urgency. It is important for our water damage Oxnard workers to act quickly in these situations, because fungus has the ability to influence both the structure of the home and the health of everyone living inside the space. When people regularly inhale mold particles, it can cause them to exhibit signs of allergy symptoms, such as headaches, wheezing, coughing, itchy eyes, as well as respiratory issues and asthma. When you hire our mold removal Oxnard techs, you can rest assured that we will thoroughly and safely clean the property. We always wear protective gear and use eco-friendly cleaning products. Call our water damage Oxnard operation if you notice that you experience health issues solely when you enter the household, and you can be sure that we will go the extra mile for you to get your place decontaminated. It may be overwhelming to suddenly be faced with an unknown substance growing in your home, but when you hire our mold removal Oxnard experts you can stay calm knowing that we will get to the bottom of the issue. Our water damage Oxnard pros have many years of experience eradicating fungus from homes, which have given us the skills and knowledge to handle anything thrown our way. Along with having the skill set to cleanup your home, our mold removal Oxnard professionals also have the best customer service in the industry. Our water damage Oxnard experts want to be as accessible as possible to you in order to answer any questions you may have, as well as put to rest any concerns that may be bothering you. Call our mold removal Oxnard team at 911 Restoration of Ventura County today and we will make sure you get the proper help you deserve throughout this process.